You know how great your hair feels after an add-on treatment at a salon, but then fades after a wash? Well haircare giants KMS feel your pain, and have introduced a very cool new initiative that gives you a stellar, tailored in-salon service that is then combined with a cutting-edge at home application for a result that lasts… and then some. Up to seven washes in fact, making it the perfect addition to a blow wave. Called the KMS Style Primer service, it separates the process into an internal and external approach to ensure optimum results that endure. The internal process focuses on plumping and restructuring damaged hair from the inside out, while the formulations focusing on external results – called ADDVOLUME, TAMEFRIZZ and MOISTREPAIR - allow the treatment to be tailored to each individual’s hair needs. How cool is that? 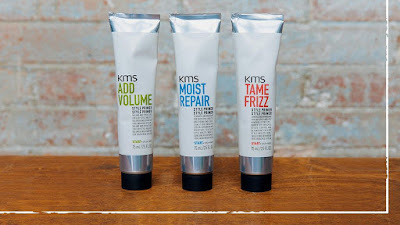 I love the fact that KMS Style Primers can be used separately or intermixed for completely bespoke results depending on your hair type, which is especially great for balayage clients and those with combination hair like me. The service takes just five extra minutes once applied to towel-dried hair, and each service includes a 75ml take-home Style Primer to prolong the results even further. So how does it work? Well it starts with AHA - found in many anti-ageing skincare products - which also has several benefits for hair such as conditioning, moisturising and strengthening each strand to enhance overall manageability. This super ingredient can tackle the most damaged or bleached hair, adding a lubricity that allows for easier detangling and even protection against heated styling tools. Next up is Polyquarternium 37, which is known for its excellent body and volume enhancing effects and works by providing a positive charge to counteract the negative charge often found in shampoos and other haircare products. This positive charge helps ionically bond the VA/VP Copolymers to the hair, the special ingredient that adds texture and volume. On the naturally derived side of things, Babassu Oil is also in the formula, an ingredient that comes from a palm fruit and is often compared to Coconut Oil. Boasting a more lightweight, non-greasy texture however, Babassu Oil gives a shot of intense nourishment without weighing down locks for instant smooth results. Last up, 18-MEA is an important fatty acid naturally found in abundance on the surface of virgin hair and is often referred to as the protective lipid layer as it prevents moisture loss. Chemical services in particular can break down 18-MEA, leaving cuticles exposed to further damage, so replacing this in the hair structure will aid in maintaining a nourished and glossy mane. Blinded a little by science? 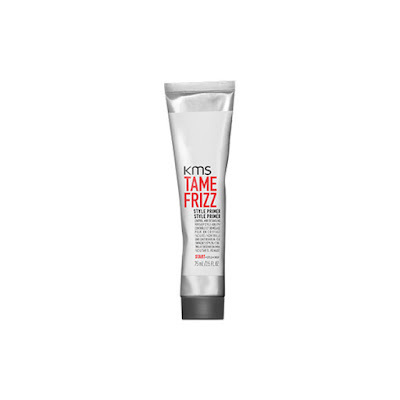 Me too, but after having this service and taking home a tube of TAMEFRIZZ that I use every second or so wash instead of conditioned, I have to say that it works a treat! 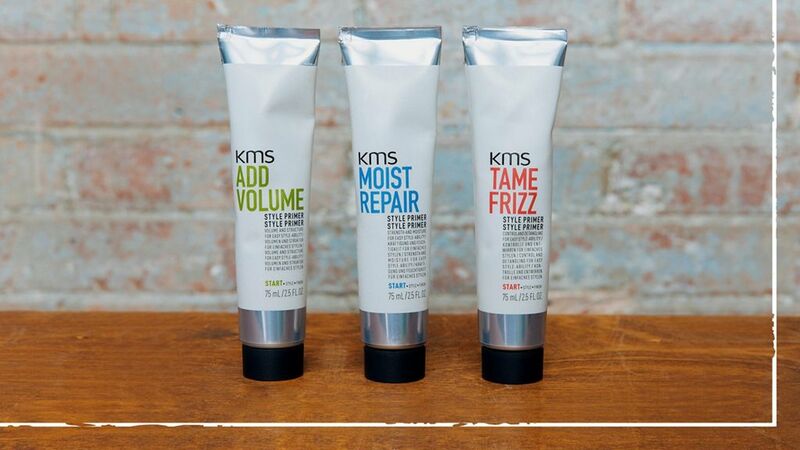 Stockist: To find your nearest KMS Salon and discuss what kind of service would suit you, head here.